South22nd Street Bridge [Brady Street Bridge] north pier after the flood of June 20, 1910. Bridges--Pennsylvania--Pittsburgh. ; Factories--Pennsylvania--Pittsburgh. 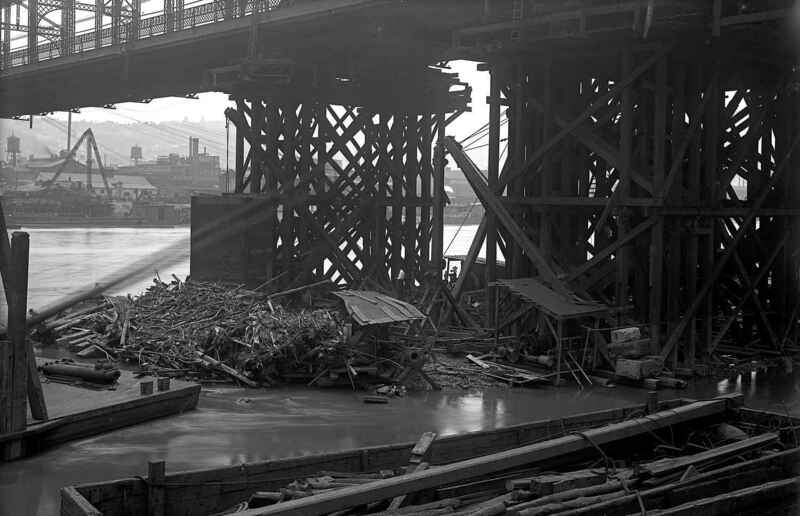 ; Flood damage--Pennsylvania--Pittsburgh. ; Floods--Pennsylvania--Monongahela River. ; Floods--Pennsylvania--Pittsburgh. ; Rivers--Pennsylvania--Pittsburgh. ; Monongahela River (W. Va. and Pa.). ; South Twenty-second Street Bridge (Pittsburgh, Pa.). ; Brady Street Bridge (Pittsburgh, Pa.). ; South Side (Pittsburgh, Pa.). I grew up on the South Side.